Memphis Steel & Iron Works began with the goal of providing quality iron lighting and lamp components to manufacturers. Soon, at the request of existing customers, Memphis Steel & Iron Works transitioned into manufacturing iron fencing and ultimately forged iron doors. Now the company’s building products division includes iron doors, fencing, security doors, mailboxes and some decorative iron casting parts. Headquartered in a 200,000-square-foot distribution center in Memphis, Tennessee with overseas manufacturing support, Memphis Steel & Iron Works has become a premier provider of forged iron products. 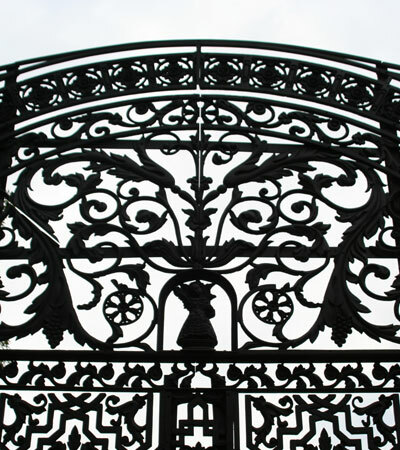 Of all that Memphis Steel & Iron Works provides, forged iron doors have emerged as the flagship product. With a focus on quality and service, Memphis Steel & Iron Works has proven to be not only responsive to customer needs but also attuned to shifting design requirements. By employing cutting edge technology coupled with old world craftsmanship, Memphis Steel & Iron Works is ever ready to meet and exceed the demands of the global market. The company has a variety of means to help its customer base, which includes two-step and one-step distributors, pro lumberyards and OEMs. By providing multiple methods of distribution, Memphis Steel & Iron Works make iron doors accessible to everyone.